With a legal background that includes civil litigation and public finance, Daniel Ringold brings over 15 years of practice experience to the representation of municipal utility and special districts as general counsel and bond counsel. He also represents commercial and residential real estate developers in the formation of special districts and in matters relating to the development of property within special districts. 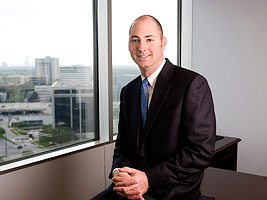 Prior to joining Schwartz, Page & Harding in 2004, Daniel was an attorney at Gardere, Wynne, Sewell, LLP in Houston for four years. Daniel is a native Houstonian and is licensed to practice law in all Texas state courts, the U.S. District Court for the Southern District of Texas and the U.S. District Court for the Western District of Michigan.